Everything is sweet as when you are an exchange student. New Zealand is sweet as. And life as an exchange student is sweet as. I clearly remember the first time I heard someone say sweet as. I was in school and I didn’t quite know what to say or how to react. Sweet as? But I learned what it meant and now I am using it myself. Exchange is about culture and about learning and using what you learn. I learned about sweet as and now I am using it myself. I am turning into a real Kiwi. As an exchange student you learn new things every day. I have been a Rotary Youth Exchange student for nine months. I am from Denmark and I now live in Cromwell, New Zealand. I love all the new things I am experiencing and all the new people I meet. It is amazing and it’s all thanks to Rotary. 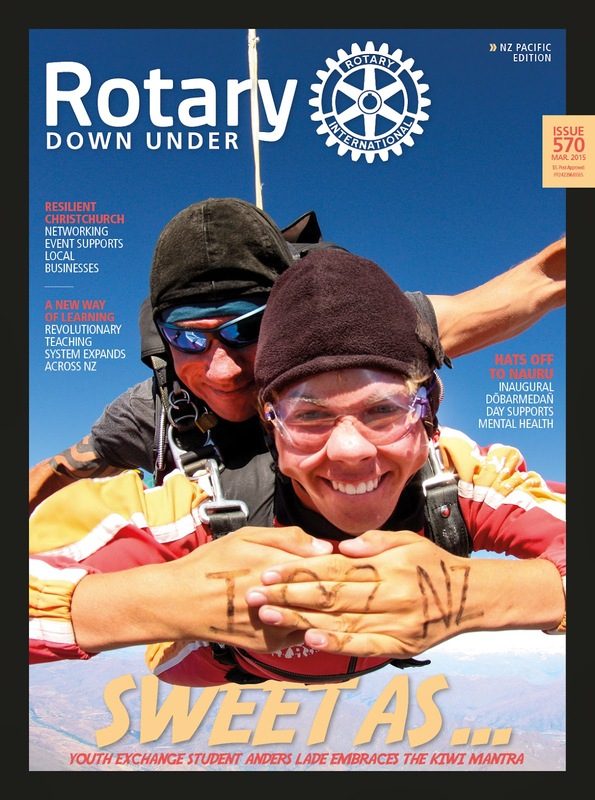 When I first came to New Zealand, I knew about Rotary. I had been to several meetings in Denmark and I liked Rotary and the things that Rotary did. What I didn’t know was that Rotary is so much more than youth exchange and so much more than what you see on the surface. Rotary is about helping other people and service above yourself. Rotary in Cromwell is doing so much for the local community and it helps the community and it helps people. Rotary Club of Cromwell is helping kids by giving them dictionaries and safety vests. They are helping elderly people by giving them firewood. They also do things for the environment (eg. they had a big cleanup day were they collected all garbage). That is just some of the things they are doing. It is fantastic that an organisation with 1.2 million members have the same goal, the same opinions, even though they are spread out across the world. I have learned that Rotary is not a hobby or something you do once a week. Rotary is a lifestyle and life vision. Rotary is a big family. Every time I am taking my Rotary jacket with all my pins on I get really proud. I am proud to represent Rotary and the things it stands for and does. 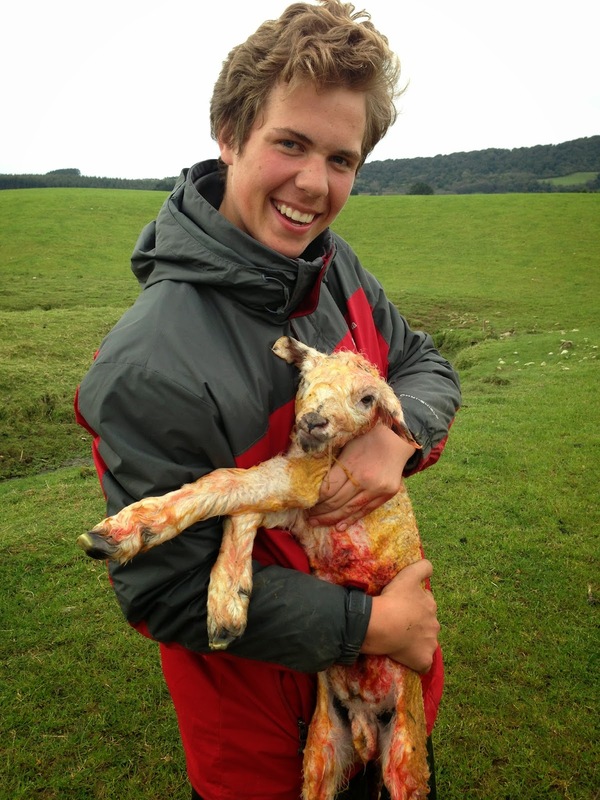 I have done a lot of New Zealand things and as an exchange student I am pretty busy. I have shorn sheep, helped birth a lamb, milked cows, gone skydiving, walked the Milford Track, done a North Island trip and so much more. Rotary is planning some more great things for me that are going to be fun so I am looking forward to it. Sweet as! 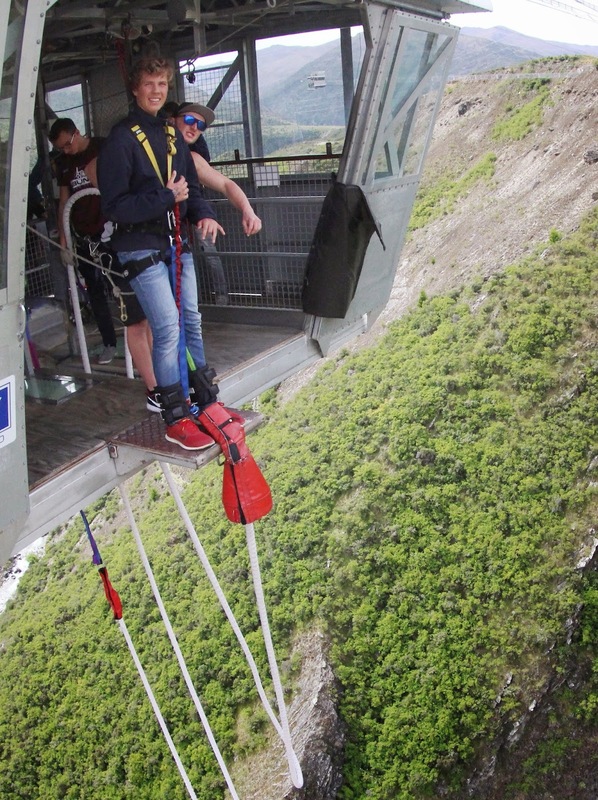 The Rotary Club of Cromwell’s Rotary Youth Exchange Student Anders Lade from Denmark arrived at a chilly Queenstown Airport on July 24. Cromwell club has been fortunate to host some outstanding young people in recent years and Anders is no exception. It is true that the more effort a student puts into their exchange, the more they benefit. Anders has grasped every opportunity offered and the above article written in a foreign language by Anders describes some of his New Zealand experiences to date.